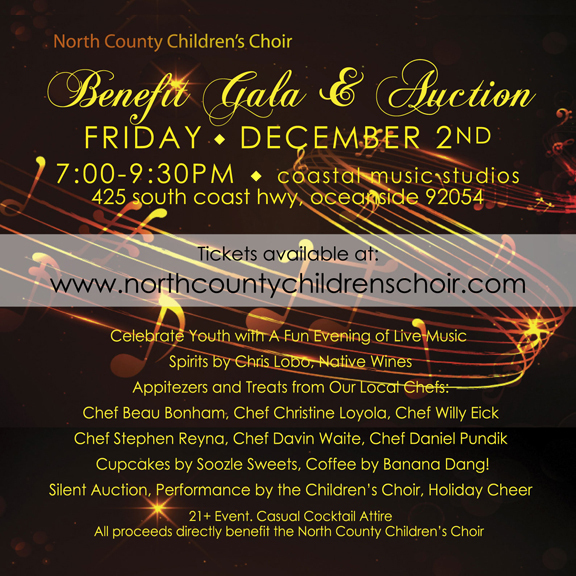 This is going to be a fun evening with Live Music, Spirits, Appetizers & Treats, a Silent Auction and a Special Performance by members of the North County Children’s Choir. If you are unable to attend and would like to contribute to help out the NCCC, please CLICK HERE TO DONATE. All proceeds benefit the NCCC for new Microphone’s & Risers.